too large for commercial size envelopes. 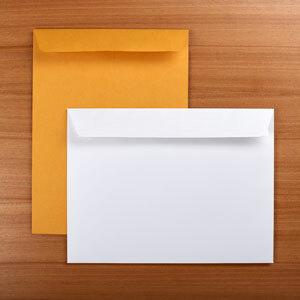 We offer Booklet Envelopes in a variety of sizes and styles. with Regular Gum or Quick Stick Gum (self-sealing).